The theme of robots turning against the humans who actually created them is not new and it has been worked on pretty successfully in a number of movies. Depths of Betrayal is a game version of the same story line, but of course with much more details that make the story different. 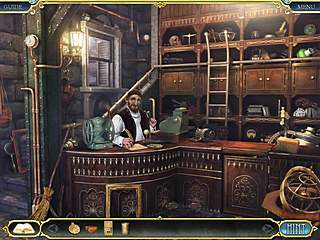 The game is more of an adventure type, than of hidden object one. You are playing against a robot that turned its back on the whole town for an unknown reason. The whole town is in danger of destruction. Your job is to stop that mechanical villain and aso to find out what exactly had caused such an anger. The graphics of the game are superb. Sometimes they may seem a bit foggy, but in accordance with the story, and yet have good visibility. Sound and voice over is great. Although there isn't too much of voice over, it is very well done when there is. 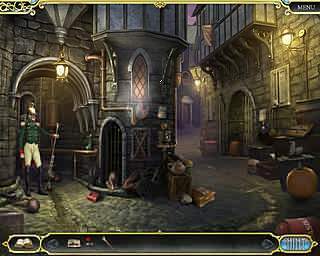 The game is more of an adventure type, than of hidden object one. Hidden Objects scenes are not cluttered - you just click on an object and a balloon pops up with the images of objects that you have to collect in order to get another object to use. Depths of Betrayal has some mini games - unlocking boxes, switching tiles etc which range from easy to a little more challenging. The game might not be for everyone, but it features decent production values that might still please many. This is Depths of Betrayal Collector's Edition review. Download this game here.